It was, I concede, a fair question. 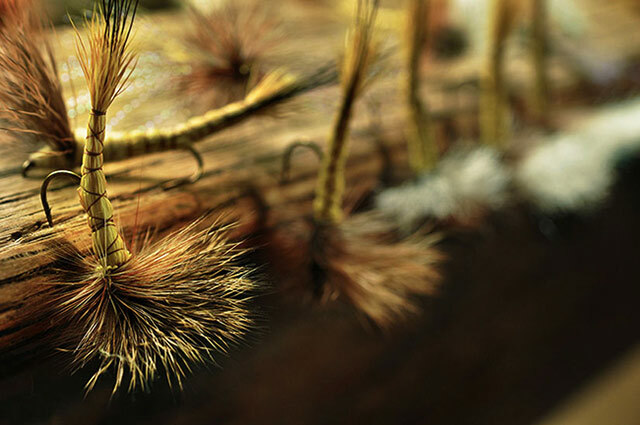 For me, tying a fly in those days consisted of cramming as many birds and beasts onto a single hook shank as possible—each pattern a little Noah’s Ark. A tying session of any duration would often utilize every material I possessed. As result even the simplest of flies—a caddis pupa, for instance—would end up acquiring monstrous and fantastic elements. Each session was a process, each fly an evolution, not of the fittest or best adapted, but of the most whimsical. The problem of “What If?” flies is that, while they may catch fish from time to time, they do not allow you to evolve as an angler, at least not as quickly as systematic flies do. And that’s why I’m writing today: having done everything wrong, I can now address how to do things right. Everything worth tying is not only worth tying well, but worth tying prolifically. The first argument for more discipline and systematicity at the vise comes from the fundamental dynamism of rivers. Not for naught is it bandied about that a man never steps into the same one twice. Rivers are constantly fluxing and changing, as variegated a natural system as exists. To understand those shifting currents—and the wonderfully adaptive fish that thrive in them—it’s important to have an independent variable, a known and constant quantity: a familiar fly. Going forth without a known system of flies is kind of like playing baseball with a slightly different ball each time, a ball of a different size, color and stitching. You may get better at hitting and fielding, but it’ll be a longer, slower process. There’s also the freedom that comes from having twelve of something. We’ve all been in a position where we’ve finally discovered the day’s hot fly—as well as the reality that we only have one or two more of them. This leads to overly safe, tentative presentations. The first fly I learned to fish well was, unsurprisingly, the first fly I tied in bulk, a CDC and elk. I had so many of them I could really explore the limits of my casting, and take risks I might otherwise have been too afraid to take, drifting it flush against a sweeper, riding it beneath an overhang of vegetation. Lastly, and perhaps most importantly, being systematic gives the angler on the water the opportunity to isolate variables, to make meaningful observations on which particular aspect of a fly fish are responding to—good information for the next session at the vise. In this way, a mutual feedback loop is established. 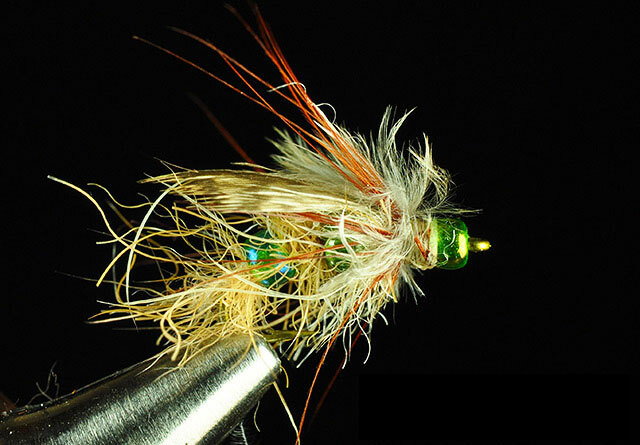 The angler at the vise becomes more than just a supplier of the angler on the water. He or she becomes a a co-conspirator, a conceiver of plans, a play-caller of sorts. In this way your evolution as an angler can be expedited. Before I sign off, I can’t help but share a little something—the one and only pattern from my “What If?” days that still holds a place in my flybox: the J.U.C.E. Caddis (Jacked Up Caddis Emerger). This fly is responsible for some of the most savage strikes I’ve ever experienced swinging wet flies. But don’t tie this because you just want to catch fish: there are simpler patterns out there. Do tie this because you want something in your flybox that reeks of magic, something that can breathe a bit of hope into a slow day on the water. Be sure to tie a dozen. Notes: the snowshoe hare foot fibers should be applied via Gary LaFontaine’s touch-dub method. Also, since it is impossible to dub over the beads, you must whip-finish and tie of each dubbing segment before moving on to next.